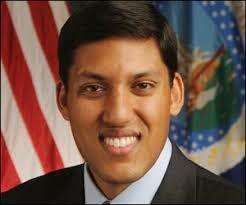 Dr. Shah is the highest-ranking Indian American in any presidential administration. As the administrator of USAID, Dr. Shah heads up the US government’s worldwide economic and humanitarian assistance efforts. A medical doctor and expert on health policy and global development, Dr. Shah has broad experience in harnessing innovation to improve lives.